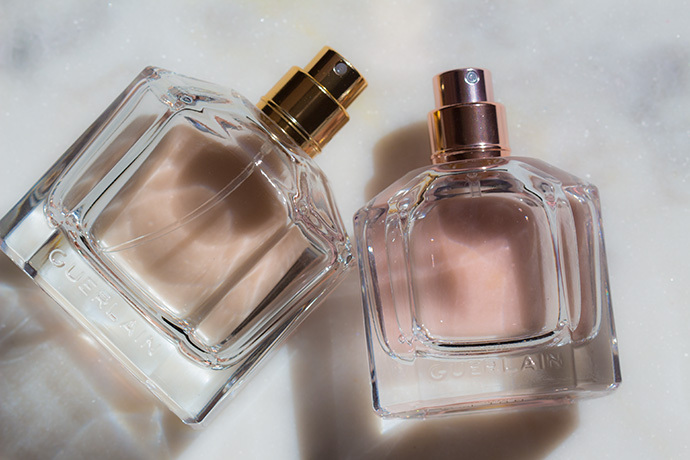 Guerlain Mon Guerlain belongs to my top three favourite perfumes, I love everything about it and I find that it’s made for me. 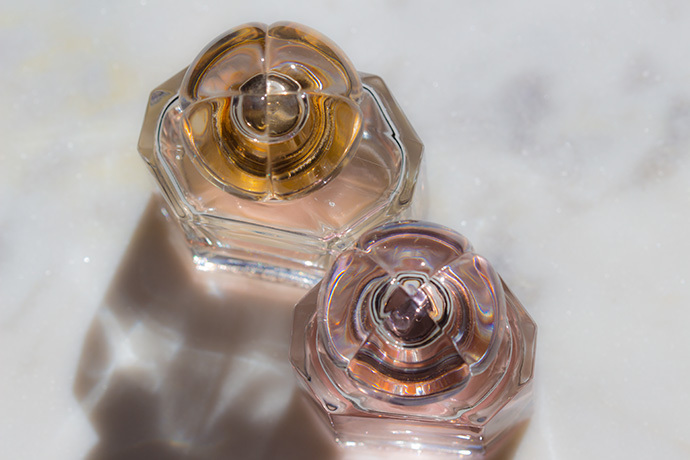 Feeling so stronlgy about Mon Guerlain, I was very curious to find out about Mon Guerlain Eau Florale, the new flanker which was launched exactly one year later. Although I don’t usually like floral perfumes, I bought this one out of love for the first one. 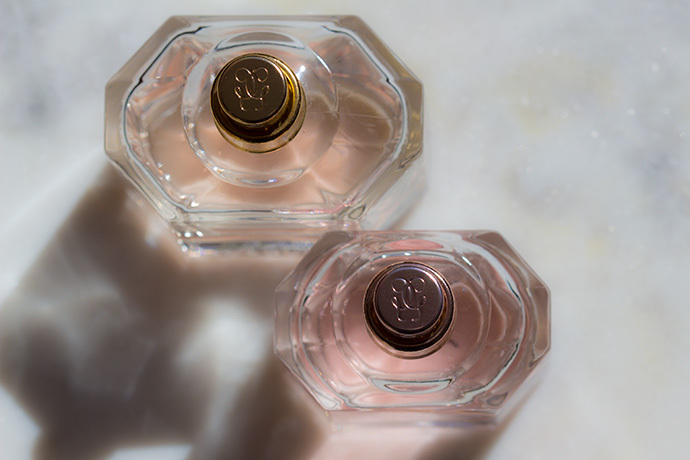 The fragrance is elegant, fresh and agreeable; it’s not very floral, it feels like a romantic version of Mon Guerlain and it definitely lacks character. 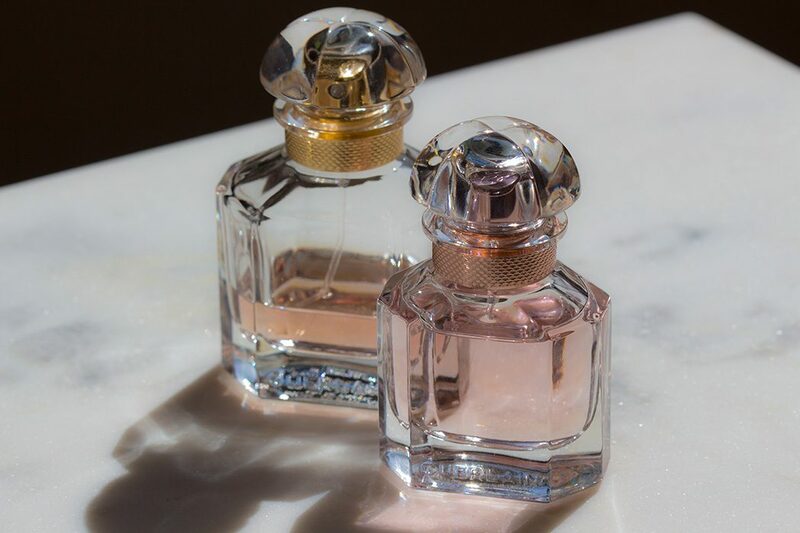 The bottle is identical to the first Mon Guerlain, the only different thing is the detail at the neck of the bottle: rosé gold for Mon Guerlain Eau Florale (while being golden for Guerlain Mon Guerlain). 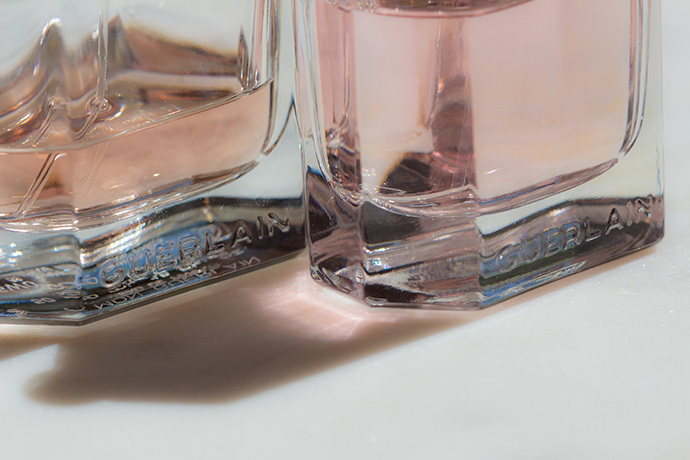 Also, the colour of the potion is more rosé in case of Guerlain Eau Florale. In my opinion, it’s a day fragrance and my big disappointment would be the fact that it doesn’t have a strong staying power. I don’t smell it at all after 30min. 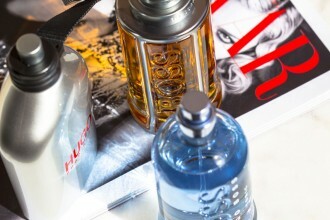 It’s available in 30ml, 50ml and 100ml. Middle notes: jasmine sambac, peony, neroli, ylang-ylang. Base notes: sandalwood, iris, vanilla. Thanks for sharing the review with us, as I do not buy perfumes very often and would have been confused. Wow, what a detailed review! Mon Guerlain Eau Florale sounds amazing and the bottle is so pretty. I would love to check it out at the store! Oh how I love perfume in pretty bottles! This one looks like the next one to add to my collection! What a gorgeous photo series! The color makes it look like it would be more floral so it’s kind of surprising that it’s not. I do love bergamot though! I get so bummed when I sent I like/love doesn’t last for very long. Especially when the perfume is a bit heftier in price. The photos of the product you took are stunning! I like floral perfumes and this sounds like something I would wear. The bottles are so pretty! 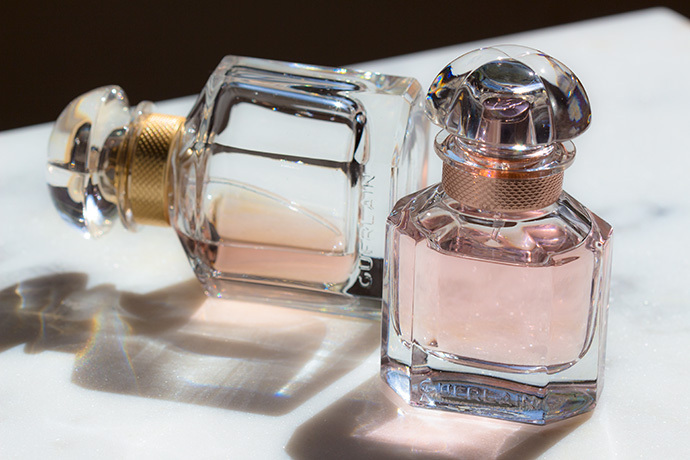 I’m obsessed with perfume bottles. Fresh scents are always good in my book. Although I think my main perfume is floral. You gave a great review. 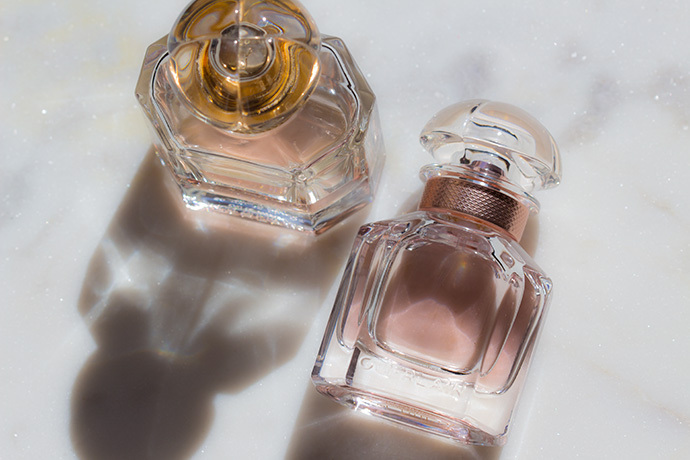 I have never tried Mon Guerlain Eau Florale but I will get some samples from Nordstrom and if I like it I will purchase. Thanks for sharing. By the ingredients, this is a perfume that I would probaly enjoy wearing. It is great that this is an honest review that the staying power and strength of the fragrance is not there.